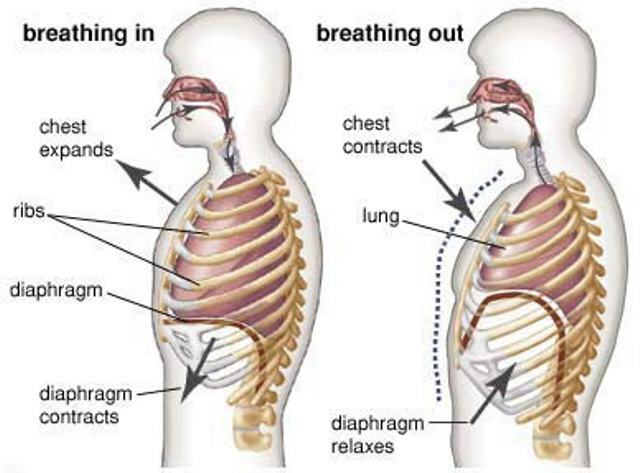 Breathing exercises are not invented by modern medicine. They are used in yoga for more than one thousand years. These types of exercises significantly affect the human body. These exercises will make you develop the right way and they will also help respiratory organs in cleaning the organism out of harmful chemicals caused by smoking. The exercises are performed in a very simple way. You can make your own choice and start doing some of them every morning and throughout the day. After doing these exercises, the strong desire for smoking disappears completely. When you find yourself in a situation when you feel a strong smoking desire, go out and get some fresh air. Stand back and relax. Inhale deeply and hold your breath for 5 seconds then slowly breathe out. Repeat this exercise 10 times. After you are done you may feel slight dizziness due to saturation of the brain with oxygen. Most importantly is that the smoking desire fades away slowly, but certainly. Inhale slowly through your nose and then breathe out little faster. If you imagine yourselves being a steam locomotive, this exercise will not only be more efficient but it will surely be more fun. Start doing this exercise slowly and after a while increase the tempo. Make 30 inhales and breathing outs in one cycle. After each cycle take a 1 minute break. In order to see the results, repeat this exercise 5-6 times. Progressively, you will start thinking about other stuff rather than smoking.